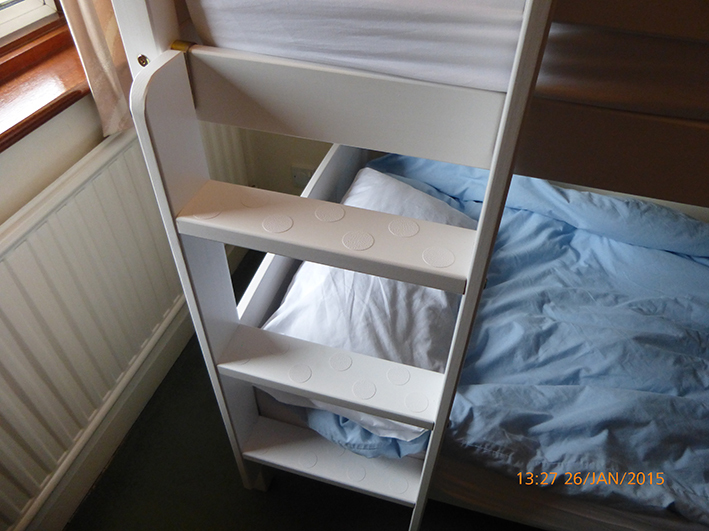 “I recently installed some bunk beds for my grandsons. The ladder to the top bunk is painted wood and somewhat slippery for young feet. In a moment of inspiration I put some of the non-slip bath circles on the treads. Brilliant! Safe climbing all the way. I pass this on as there may be others who could benefit from this idea.” Peter, Hertfordshire. Thank you very much for your idea Peter. In the past we have also had some other great alternative uses for our product, including making the surface of sledges less slippery, putting them on surfboards for beginners to help them stand up and sticking them at eyeline on a glass door to ensure people realised the door was there. Have you got any other uses? Please let us know!